Extra Low Energy Brackish Reverse Osmosis Membrane | Applied Membranes Inc.
AMI Extra-Low energy RO Membrane elements are specially designed to run at 100 psi while producing similar product flow as standard models. By using these instead of standard elements in your commercial reverse osmosis system, you can significantly reduce your operating costs. These elements are wrapped in a hard shell of FRP for added strength and to withstand higher pressure drops. AMI reverse osmosis membrane elements are among the finest in the industry. With hundreds of thousands of RO membranes in operation world-wide, AMI BWRO Membranes are Made in the USA in our ISO 9001:2015 Certified Facilities. Each reverse osmosis membrane element meets or exceeds our strict performance requirements before shipping. For the past 30 years we have earned a reputation of delivering consistent, high quality which makes AMI Membranes the natural choice for use in reverse osmosis water treatment systems. Reduce operating costs and wear and tear on your system by running your system at a lower pressure. Hard fiberglass exterior provides added strength and withstands higher pressure drops than tape-wrapped elements. 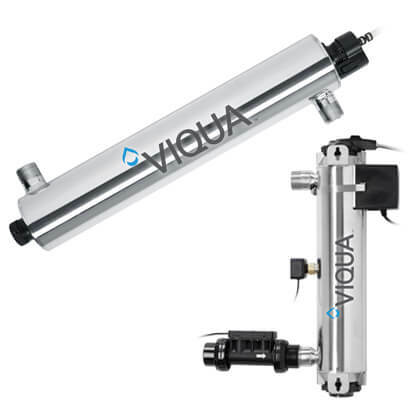 Reverse osmosis membranes remove up to 99% of total dissolved solids. 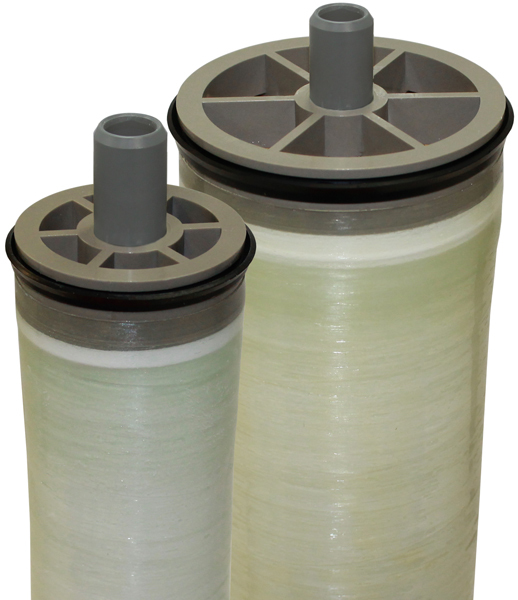 RO membranes remove dissolved impurities such as chloride, lead, chromate, fluoride, bacteria and others. Note: Performance specifications based on 2,000 mg/l sodium chloride, 100 psi (1 MPa) applied pressure, 77ºF (25ºC) feed water temperature, pH 8 and the recovery listed in the table above. Element permeate flow may vary ± 20%. Caution: Do not run these membranes at a pressure that will produce more than their rated product flow rate. This will lead to premature fouling of the membrane resulting in drop in permeate flow and higher TDS of the permeate.